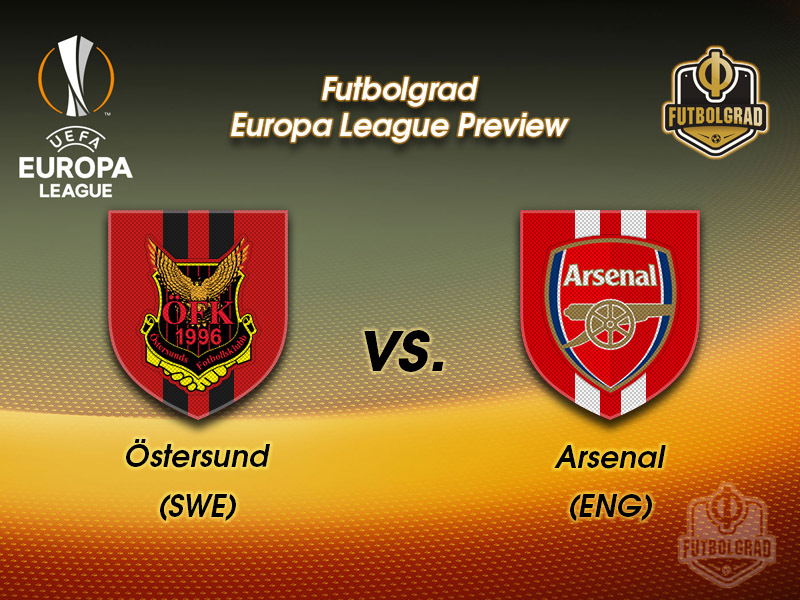 Östersund vs Arsenal – Thursday, February 15, 18:00GMT/19:00CET – Jämtkraft Arena, Östersund, Sweden. With Arsenal’s domestic season now over, Thursday’s clash with Östersunds FK takes on crucial importance for Arsene Wenger. Saturday’s 1-0 defeat at Spurs means that the Gunners are now seven points off their rivals in the Premier League standings. Increasingly, it seems like the only way they can avoid the Europa League next year is by winning it outright. The Frenchman, then, has a few tough choices to make before Thursday. Should he stick with the fringe players who carried his side through the group stages with a minimum of fuss, or should he throw his elite players into the squad for a visit to Sweden’s Winter City? Graham Potter is a name that will be familiar to most football fans by now. The young Englishman took Östersund from the fourth division to the Allsvenskan in just five years, with his innovative coaching methods finding a home in an unremarkable corner of central Sweden. An intelligent, erudite coach, Potter completed a degree in social sciences at the Open University while still competing as a professional. After struggling to get a job at home, he departed for the European continent after an eclectic CV had taken in spells as the technical director of the Ghanaian Women’s team and the England Universities Squad. He is one of the brightest coaching prospects on the continent, but his side will face an uphill battle against a wounded Arsenal. David Ospina will come in for the visitors, with Wenger likely to rest Petr Cech after his ultimately-futile heroics at Wembley. Calum Chambers should also deputise alongside Laurent Koscielny, with the Frenchman keen to make up for the error that allowed Harry Kane to score the winner last time out. Ainsley Maitland-Niles has been impressive in the Europa League campaign thus far, and Wenger will be keen to give him a recall alongside a player whose future at the club looks perilous. 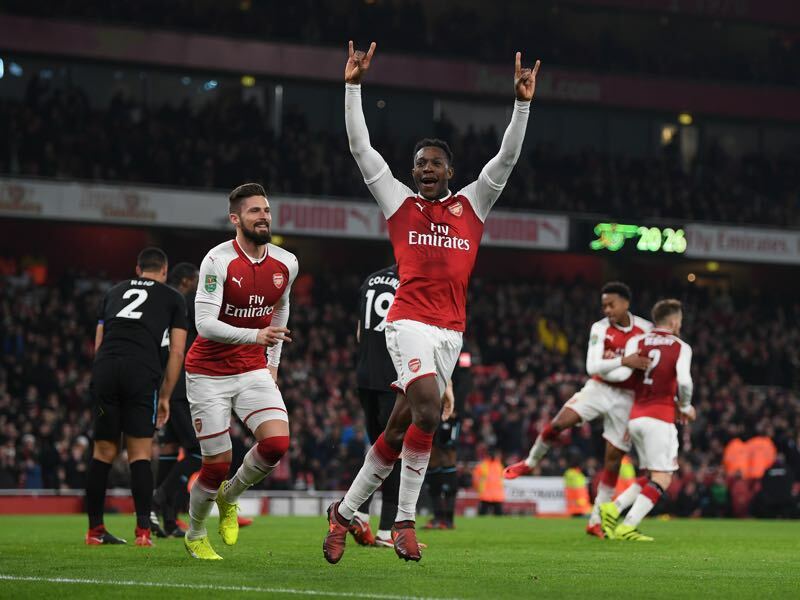 Danny Welbeck has never threatened to blossom in his four years with the club; on Thursday, however, he’ll get another chance to impress. Östersund, meanwhile, will go into this game full of confidence after battering Trelleborg 3-0 in the Swedish Cup. Their fitness will be a real worry, however, with Thursday’s game offering just the second competitive fixture they’ll have played since December. Östersund, which lies hundreds of miles north of Scotland, will be hoping that the Arctic conditions can snap this brittle Arsenal team in half. With Wenger’s men enduring their latest breakdown, then, any result is possible on what will prove to be a frigid but fascinating evening. Jamie Hopcutt might only be 25, but he’d already represented five clubs before moving to Swedish football back in 2012. The former Tadcaster Albion man took a chance on Graham Potter’s unlikely project back then, and he has been rewarded ten-fold with a place at the heart of the Östersunds midfield. A tidy passer who looks to break forward into the box, Arsenal will need to pay close attention to his probing runs off the ball. It’s never really happened for Danny Welbeck at Arsenal. His future was already in doubt before the club captured the dual signings of Henrikh Mkhitaryan and Pierre-Emerick Aubameyang in January. Domestically at least, it is difficult to see where or how he can break into the team, with his poor finishing and lack of consistency proving a real turn-off for Arsene Wenger. Even Welbeck, however, will fancy his chances against this opposition. While being far from the ‘gimme’ that many Arsenal fans expect, the Salford man should have enough to register at least one goal on Thursday. If he wants to stay in North London beyond the Summer, he needs to start taking these chances fast. The sides have never met in European competition before. Östersund have already played 12 European matches so far, qualifying behind Atheltic Bilbao as runners-up in Group J.